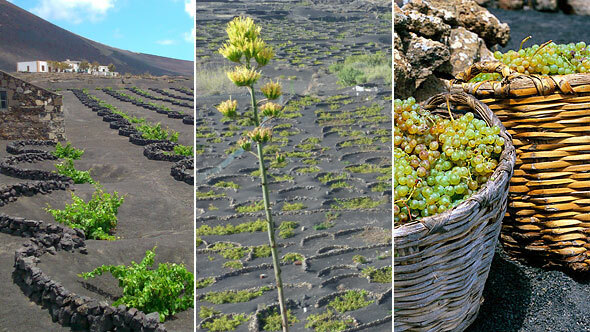 Licensed Guide, transportation in air-conditioned bus or mini-bus, wine tasting. Snacks, beverages, meals, entrance fees. 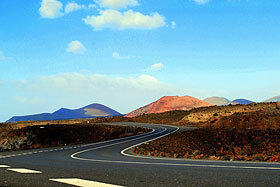 Entrance fees: Timanfaya National Park & Jameos del Agua. A day full of excitement and discoveries. 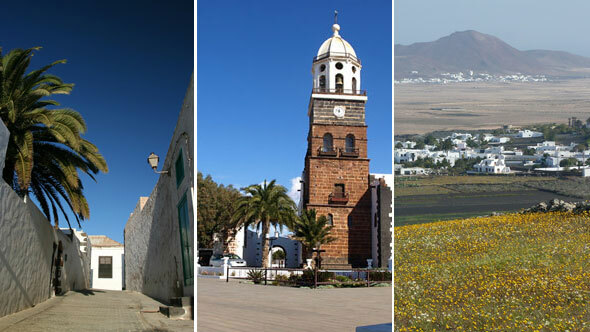 On this full day trip we shall get the opportunity to see the most symbolic places of Lanzarote, obligatory key visiting points that must be visited by everyone that comes to the island. 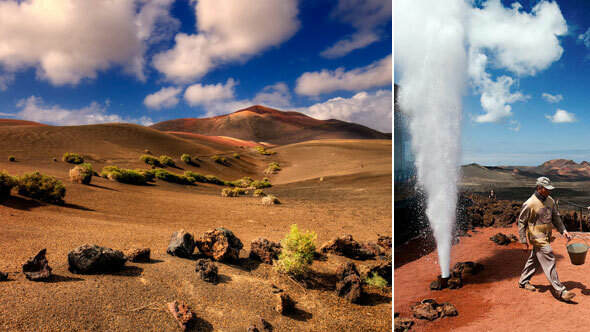 Timanfaya National Park is one of the most important volcanic places on Earth, the result of the eruption that struck the south of Lanzarote between 1730 and 1736 covering almost 200km² of volcanoes and lavas, a place you will never forget. 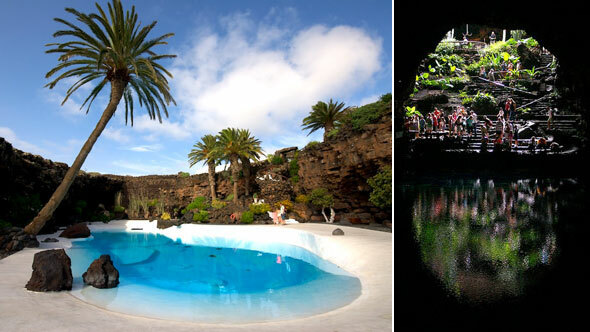 We also pay a visit to Jameos del Agua, an underground paradise designed by the local artist César Manrique on the interior of a former volcanic tunnel. 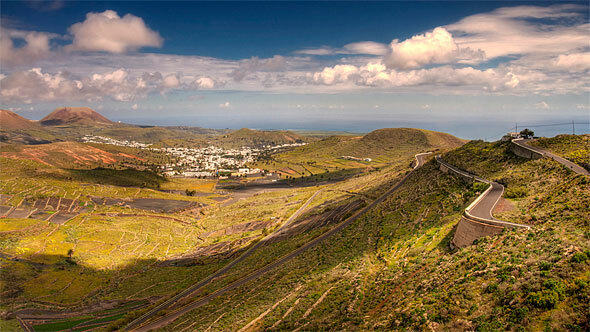 Jameos del Agua is the masterpiece of Manrique´s public spaces artistisc proposals. 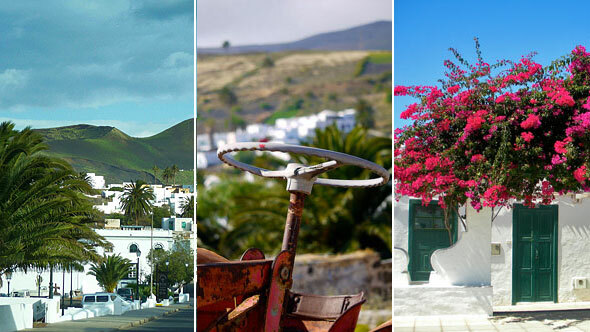 We’ll get to enjoy the variety of landscapes which are dotted all across the geography of Lanzarote, an understanding of the reasons for the white houses, the crops that are produced from the black sand, the culture of the water in a place where never rains and all the curiosities that make Lanzarote so unique. As a private tour we can adjust the schedule, duration and activities to meet your needs. Please let us know about any special requests you might have. You must enjoy walking short distances and be able to get in and out of public transport. The tour includes some steps.